These maps were created in 2013 as part of the High Water Line | Miami project/movement. They illustrate sea level rise at one-foot intervals ranging from one to six feet. Current Sea Level, Miami. Data Source: Climate Central / High Water Line | Miami. Map Source: Matthew Toro. 2013. 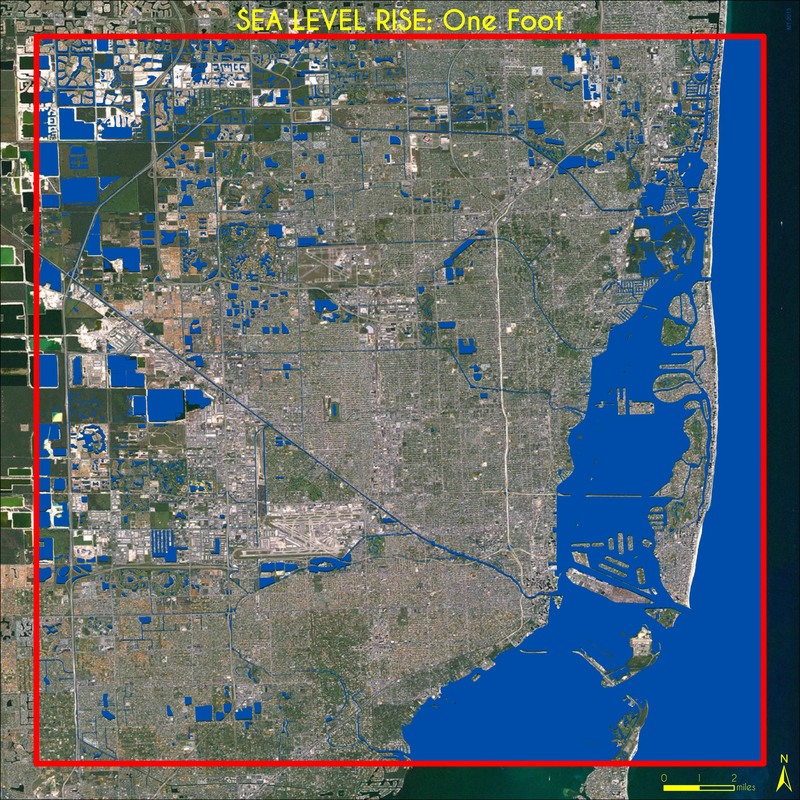 One Foot Sea Level Rise, Miami. 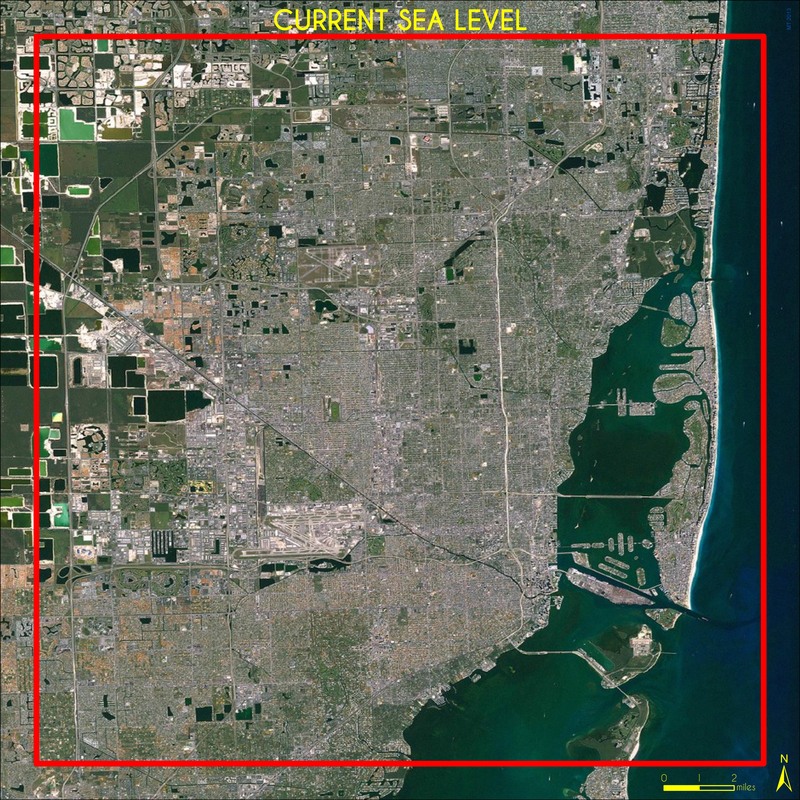 Data Source: Climate Central / High Water Line | Miami. Map Source: Matthew Toro. 2013. Two Feet Sea Level Rise, Miami. Data Source: Climate Central / High Water Line | Miami. Map Source: Matthew Toro. 2013. Three Feet Sea Level Rise, Miami. Data Source: Climate Central / High Water Line | Miami. Map Source: Matthew Toro. 2013. Four Feet Sea Level Rise, Miami. Data Source: Climate Central / High Water Line | Miami. Map Source: Matthew Toro. 2013. 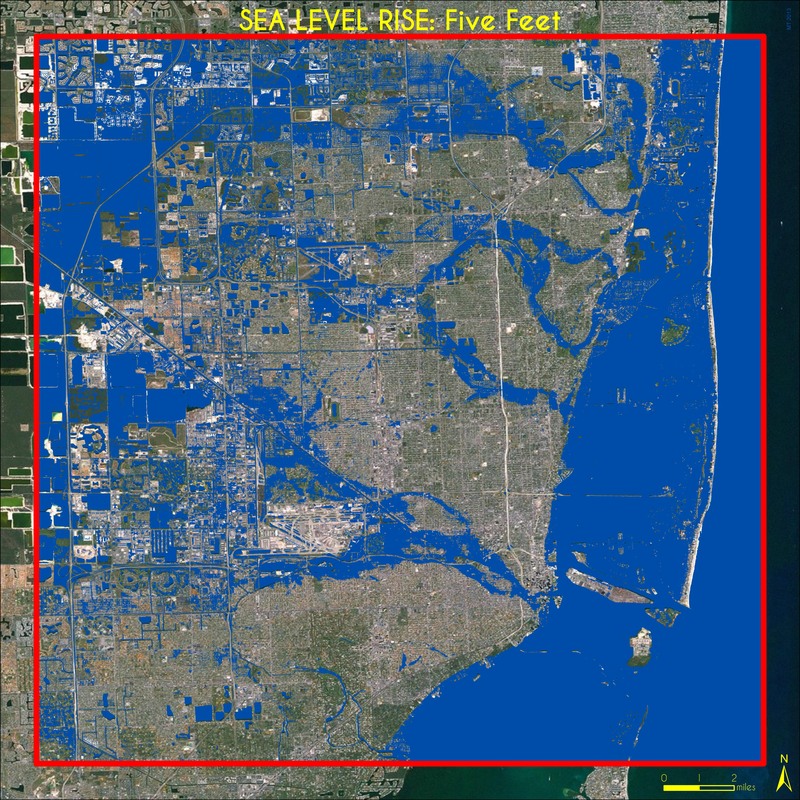 Five Feet Sea Level Rise, Miami. Data Source: Climate Central / High Water Line | Miami. Map Source: Matthew Toro. 2013. Six Feet Sea Level Rise, Miami. Data Source: Climate Central / High Water Line | Miami. Map Source: Matthew Toro. 2013.